Toyota GAZOO Racing was instrumental in honing the new sports car’s performance, working extensively on the famous Nürburgring Nordschleife and surrounding roads in Germany in order to achieve the most agile, stable and rewarding handling. Further testing was also carried out on roads around the world, including in Australia with chief engineer Tetsuya Tada. 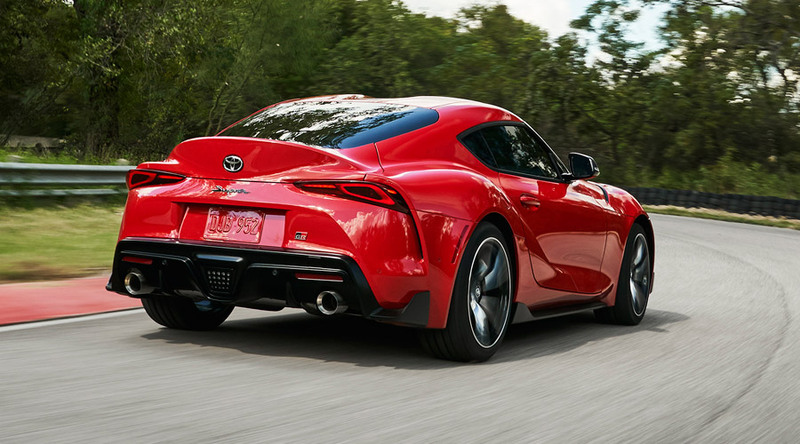 Toyota’s great sports car heritage is referenced in the design of the new Toyota GR Supra. 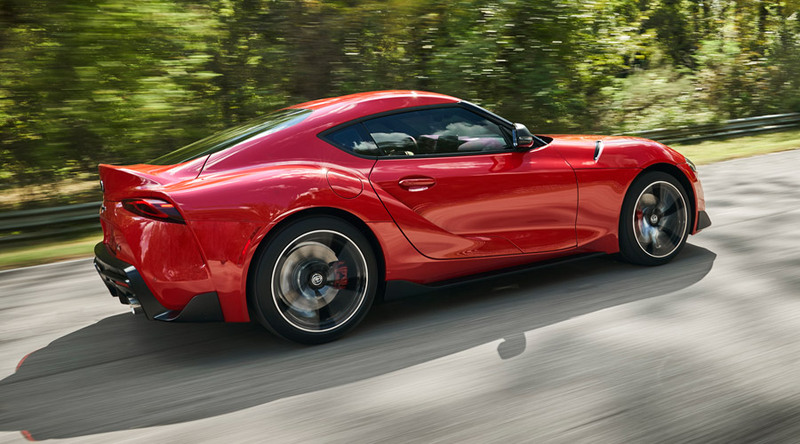 The landmark 2000GT’s influence is evident in the long bonnet, compact body and double-bubble roof, while the distinctive look of the fourth generation Supra is captured with its muscular rear wings and the arc of the integrated spoiler. 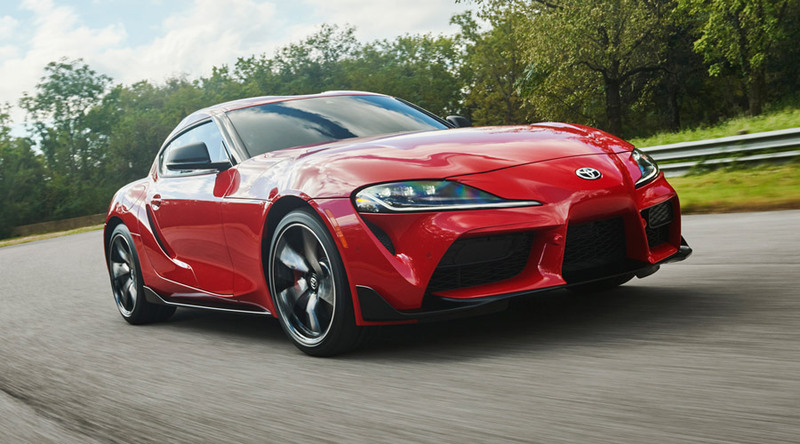 Supra’s design theme was first previewed in the dramatic FT-1 concept car, styled by Toyota’s CALTY studio in California and revealed at the 2014 North American International Auto Show in Detroit. Toyota Supra chief designer Nobuo Nakamura gave his team a simple brief around the concept of “Condensed Extreme”, ensuring they were free to express their vision of a pure and individual sports car in a truly original design. “Condensed Extreme” refers directly to the vehicle’s packaging, comprising three principal elements: a short wheelbase, large wheels and wide stance; a taut, two-seat cabin; and a long bonnet with a compact body that reflects the drivetrain combination of in-line six engine and rear-wheel drive. In the finished design, the “Condensed” theme is evident in the relationship between the Toyota GR Supra’s large-diameter tyres, short wheelbase and overall length. The wheelbase is shorter than in the 86 coupe, and the tyres are larger. “Extreme” is interpreted in the car’s wide stance, with tight cabin proportions and a wide track, contributing to a high level of manoeuvrability and stability. In side view, the low bonnet generates a dynamic line that flows rearwards from the car’s low nose, while the back edge of the bonnet and the rear spoiler are set at almost the same height, linked by a low belt line. The underbody has a slight forward angle while the cabin has a strong rearward slant, with blacked-out front pillars and character lines on the side of the roof emphasising the taut, compact cabin. Sharp-looking, sturdy sills express the car’s high rigidity. 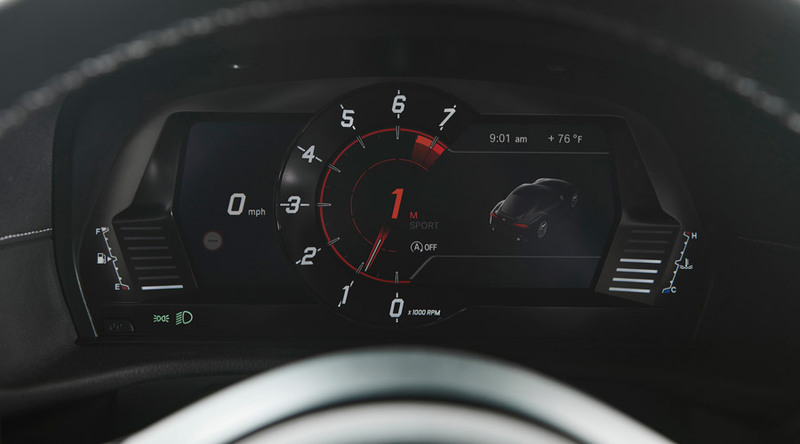 The driver’s cockpit in the new Toyota GR Supra neatly combines traditional GT elements with ultra-modern functionality. Designed to help the driver focus entirely on the business of driving, it is directly influenced by the layout found in single-seater race cars. The shape of the cockpit flows down into soft, supportive knee pads in the door trim and on the side of the centre console, their shape calculated with the benefit of Toyota GAZOO Racing’s circuit racing experience. An asymmetric centre console marks a clear division between the enveloping driver’s cockpit and the more open passenger side of the Toyota GR Supra’s cabin. The new Toyota GR Supra’s seats have a racing-influenced design that ensures comfort at all times and excellent support, in particular if the car is being used on-track. Body-holding side bolsters are featured on the cushion and the high back and there is an integrated head restraint. The vehicle stability control has a special “track” setting that can be selected, reducing the level of system intervention so the driver has greater control of the vehicle’s dynamic performance. To prioritise the car’s agility and handling, engineers achieved a 1.55:1 “golden ratio” between the wheelbase length and track width. The new suspension design comprises double-joint spring MacPherson struts at the front and a five-link system at the rear. The front suspension subframe and control arm mounting points have been made extremely rigid to yield precise cornering characteristics, while the use of aluminium for the control arms and swivel bearings reduces the car’s unsprung weight, giving superior agility and efficiency. 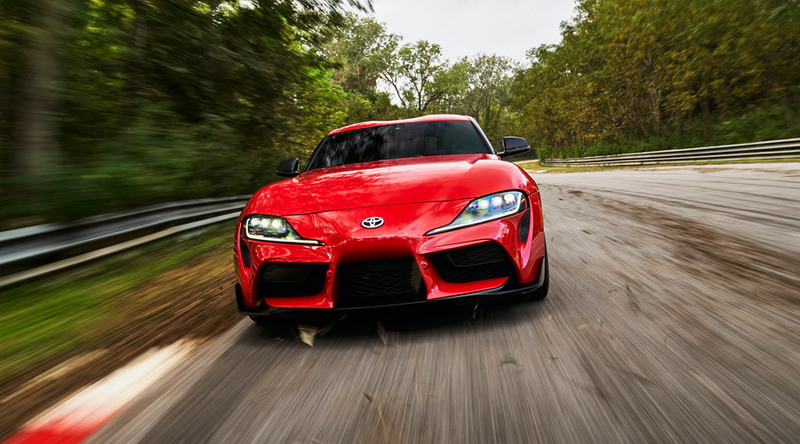 The Toyota GR Supra’s specification extends to high-performance features and systems to help the driver enjoy the car’s full dynamic potential. These include an active differential, adaptive variable suspension, and available 19-inch forged alloy wheels with a high-performance brake package. 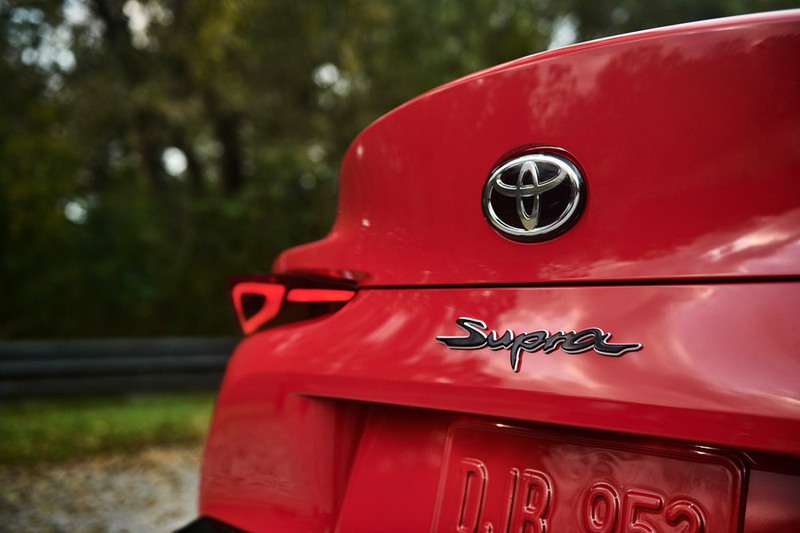 Supra is also equipped with an extensive list of advanced safety features. Toyota GAZOO Racing is the umbrella organisation for Toyota’s global motorsport program. 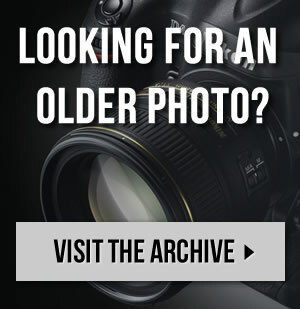 In the past year, it has won both the Le Mans 24 Hours in the FIA World Endurance Championship and the manufacturers’ championship in the FIA World Rally Championship. 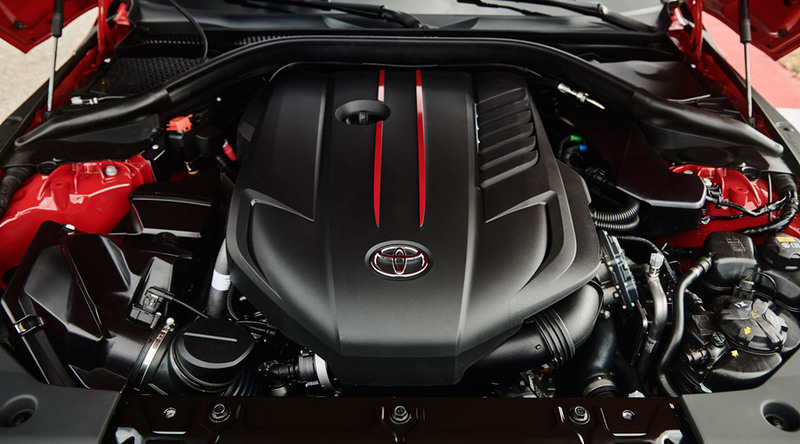 This ethos was fully embraced by Kiichiro Toyoda, the founder of Toyota’s car-making business, and is shared today by Akio Toyoda to support the company’s commitment to building ever-better cars. Starting with the Toyota GR Supra, Toyota GAZOO Racing will transfer the technical learnings it gains from racing and rallying to the development of new generations of Toyota’s sports-focused GR models as well as Toyota’s wider range of vehicles, driven by tens of millions of people around the world.